The Commercial Fisheries Research Foundation (CFRF) is a non-profit, private foundation dedicated to conducting research that assists in the achievement of sustainable fisheries through the generation of better information and effective technologies. Its work is for the benefit of individuals and businesses dependent on commercial fishing, consumers of seafood, and the public good. The CFRF was founded in 2004 by a group of fishermen and others in the industry in order to establish an alternative process for supporting fisheries research that would be lead by members of the commercial fishing industry. Initially the Foundation’s work focused on supporting collaborative conservation gear engineering projects, specifically in the groundfish fishery. The aim was for fishermen and scientists to work together to develop new gear or modify existing gear to allow fishermen to fish more selectively for species in abundance while protecting those stocks in need of rebuilding. Since that time, the Foundation’s work has expanded to include research pertinent to all fishing sectors (shellfish, lobster, finfish, etc.) and all areas of research important to the commercial fishing industry based in the southern New England region. 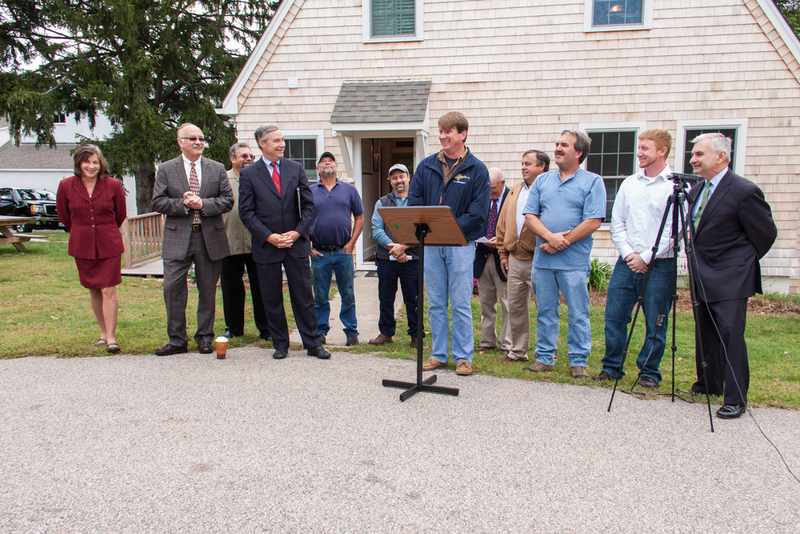 On September 21, 2012, leaders of the commercial fishing industry organizations, members of the research community, elected officials, URI administrators, and state/federal agency staff gathered at the newly renovated Commercial Fisheries Center building. 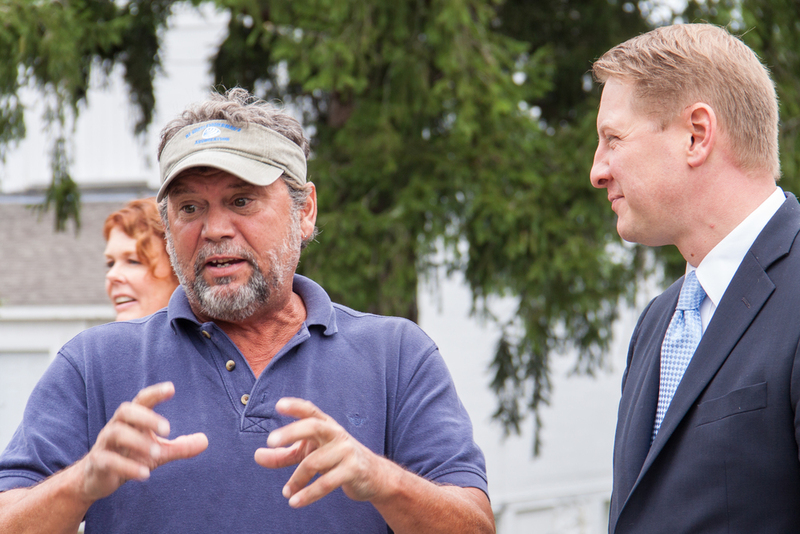 Those in attendance had an opportunity to participate in an informal tour of the new Center and leaders of the commercial fishing industry organizations spoke at the event. Members of the RI commercial fishing industry are looking forward to being able to use this newly renovated building for meetings, education programs, and office space in collaboration with the growing network of partners in the fisheries research and management communities. The Commercial Fisheries Research Foundation has an office for staff on the second floor of the Center building.